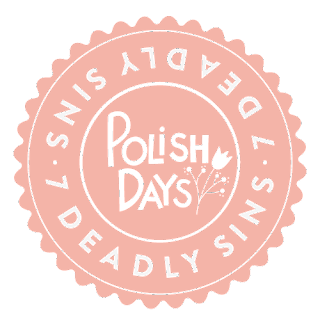 Today is Polish Day and the theme for this month is the seven deadly sins. I had a hard time coming up with a mani, at one point I wanted to do Greed but then after it got too complicated, I decided on a simpler approach and opted for Lust instead. 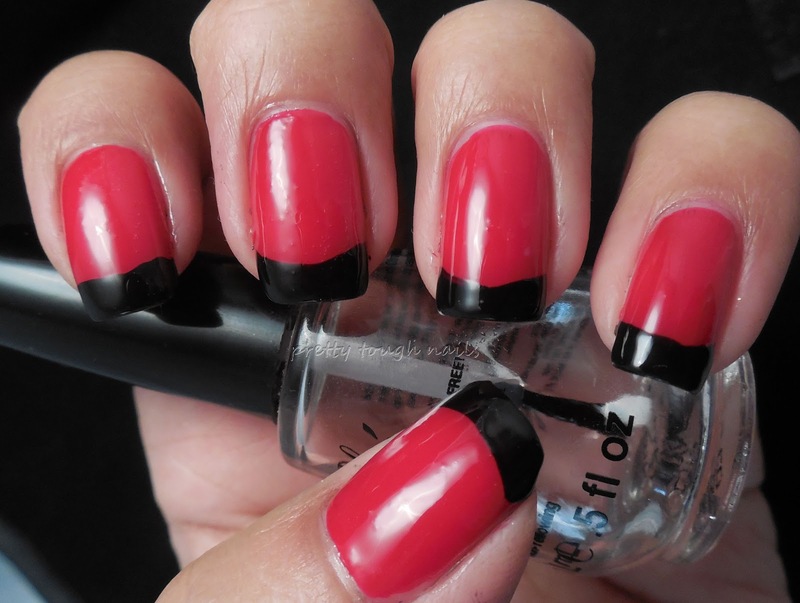 And what better way to transform Lust into a mani than a red and black french tip mani? I used two coats of China Glaze Red Satin and then finished the tips with two coats of Sinful Colors Black On Black. Pardon the bubbles in the mani, LO was playing with my nearly empty bottle of SH Insta Dri and she dropped and shaked the bottle quite a bit. Pesky vapor bubbles! 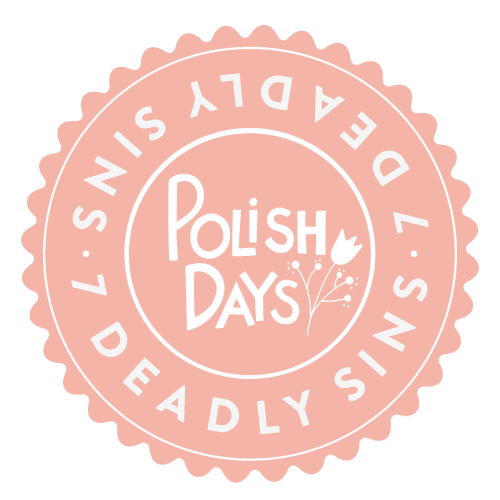 For more deadly sins manicures, click on one of the other ladies posts below! They're all great. Nice idea and very pretty! That's such a great idea. I had my stamping plates out too, and it never crossed my mind. Oh well. LOL, I didn't know if LO stories were boring anyone.... she's such a big part of my life it's hard to not include her! Hy there!! I have found your blog and I'm very glad because you have a lot of interesting subject and you make gorgeous nail designs. I will follow you for sure. If you are in the mood for some nail designs please do not hesitate to visit my blog too. Kisses and thanks in advance. Thanks for finding me! I'm following you now too. You've got great pics!